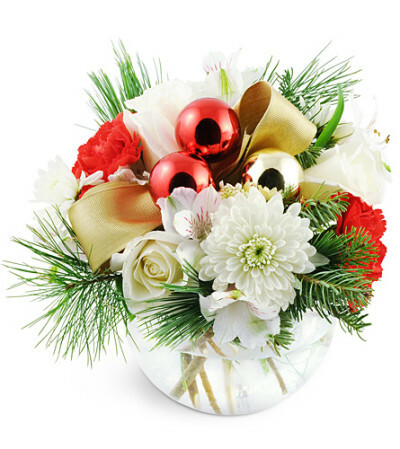 Make this yuletide extra bright with an elegant, shining arrangement! 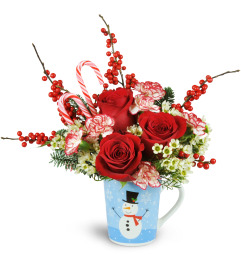 It's the perfect holiday gift for friends, family, and perhaps even yourself! 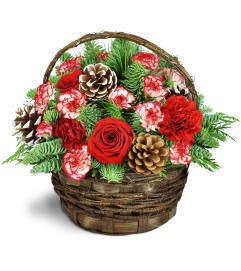 Features a celebratory display of white roses, chrysanthemums, and alstroemeria, with red carnations and pine. Topped off with three red and gold holiday baubles and a lovely gold ribbon!